As car buyers, we’re all pretty desensitized when car brands tout that their latest vehicle offers all of the attributes a customer could possibly want. However, there always seems to be something missing from these rides, whether it be comfort, power, or innovation. Believe it or not, the 2016 Impala is one of the few vehicles on the market that can actually stand by this sentiment. The full-size sedan truly does offer everything a buyer could possibly want, and we’re not spouting hyperbole. The incredible engines and impressive accompanying mechanics, the variety of interior amenities, and the advanced technologies make the Impala one of the most impressive rides in the industry. To put it over the top, the vehicle is affordable, with a $27,095 MSRP. Combine this with all of the vehicle’s other traits and you’ll be hard-pressed to find a more versatile and well-rounded vehicle. What do you desire most from a vehicle? Sure, the Impala may be full of elegant upholsteries and innovative technologies, but the nameplate makes a name for itself in one other way: the mechanics. The 2016 Impala offers a pair of impressive engine options, delivering optimal power without compromising efficiency. Meanwhile, the accompanying mechanics partner with these engines to present one of the best driving experiences in the segment. The revamped steering unit will put the driver in complete control, while several other functions improve handling and vibration. Yes, all the extra amenities are nice, but when it comes down to it, you’re going to want a reliable and muscular engine. The 2016 Impala certainly delivers in that regard. The 3.6-liter V6 engine is the main star of the Chevy Impala. The unit is as powerful as it is efficient, providing drivers with an affordable (albeit, fun to drive) sedan. The engine can pump out 305 horsepower and 264 pounds-feet of torque, especially impressive specs when you consider the efficiency. Thanks to technologies like Direct Injection and Variable Valve Timing (along with a six-speed automatic transmission), drivers can expect their Impala to deliver a 29 mile per gallon highway fuel economy. Meanwhile, the 2.5-liter four-cylinder engine produces 196 horsepower and 186 pounds-feet of torque, still perfectly capable specs. Featuring Direct Injection and the innovative Stop/Start technology, drivers should anticipate a 22 city/31 highway mile per gallon efficiency. Drivers couldn’t truly appreciate the capabilities of either engine without the presence of dependable accompanying mechanics. Chevy’s engineers refined many driveability and handling factors, presenting drivers with an optimal traveling experience. The electric rack-and-pinion steering unit will deliver unmatched handling and control, and drivers should never find that they’re having difficulties operating the Impala. Meanwhile, the variable-effort doesn’t only help improve the vehicle’s power, but it also impacts the turning radius. We spend so much time focusing on a vehicle’s engine or exterior aesthetics that we often neglect one of the more essential parts of a vehicle: the interior. There’s no denying the cabin is important, especially during the car buying process. After all, the interior is where the driver will be interacting with the vehicle the most. Therefore, you’re going to want to make sure that the vehicle is full of comfort amenities. Fortunately, the Impala offers all of the features a driver could possibly want from an interior. Plus, there’s an abundance of storage space, a surprising incentive that isn’t often present in even full-size sedans. You’re going to be spending a lot of time in your new ride, and you won’t find a more pleasant driving experience than the one promised by the 2016 Impala. For a vehicle valued at less than $30,000, you wouldn’t necessarily expect a whole lot of opulence or luxury from the ride. Well, the designers of the 2016 Impala are doing their part to buck that sentiment. The mid-size car is full of classy materials, whether it be the stitching of the heated/ventilated seats, or the chrome/wood grain accents found throughout the interior. Each of the Impala’s five passengers can comfortably spread out thanks to the generous interior dimensions. However, the most surprising measurement is the abundance of cargo room. The Impala’s trunk can fit 18.8-cubic-feet of equipment, an incredibly impressive number for a smaller ride. Plus, there are plenty of other spots to hide your valuable cargo. The eight-inch touch-screen hides a small lockable compartment, allowing drivers to store money or gadgets. There’s even a hidden storage space in the trunk, so you’ll never have to worry about thieves stealing your valuables. After a long day of work, you don’t want to be bothered by the roar of the wind or the humming of your engine. Thanks to the Bose Active Noise Cancellation unit, drivers can travel in absolute peace. The Impala’s pair of engine options were specifically designed for quiet operation. Meanwhile, the “triple-sealed” doors and “acoustic-laminated” glass will prevent any pesky sounds from entering your cabin. Any modern vehicle is chock full of the latest and most innovative technological features, and that generalization certainly includes the 2016 Impala. The sedan provides a host of inventive amenities, keeping drivers both entertained… and safe. While drivers often associate automotive technology with interior features (which the Impala certainly delivers), these innovations also apply to the vehicle’s safety. Several functions should help accidents from occurring in the first place, and the Impala’s solid body will protect passengers in the event of an emergency. The Impala never lacks entertainment or excitement. Thanks to the brand’s MyLink system, drivers have access to a number of programs at the tip of their fingers. The eight-inch-diagonal color touch-screen allows drivers to pull up applications like Pandora, SiriusXM Satellite Radio, or an extensive navigation service. Best of all, drivers can easily connect their iPhone to the system. Via the Apple CarPlay technology, drivers can make hands-free phone calls or send text messages. 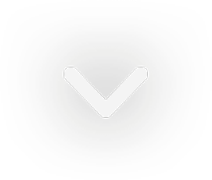 You can even pull up your favorite playlists and jam out to your favorite tunes. That technology isn’t solely included for entertainment purposes. These technological features also play a significant role in the Impala’s overall safety, keeping both the driver and passengers safe and secure. Innovations like the Forward Collision Alert, Side Blind Zone Alert (with Lane Change Alert), Rear Cross Traffic Alert, and the Lane Departure Warning will provide drivers with an extra set of eyes. Whenever the Impala’s operator may be approaching a dangerous situation (whether it be absent-mindedly switching lanes or simply approaching another car too quickly), these technologies will deliver audible and visual cues to warn the driver. The safety features don’t end there. The vehicle also includes 10 standard airbags, as well as a rear-view camera. Thanks to the inclusion of the OnStar Guidance Plan and the OnStar Automatic Crash Response System, drivers can be assured that emergency personnel are right around the corner. 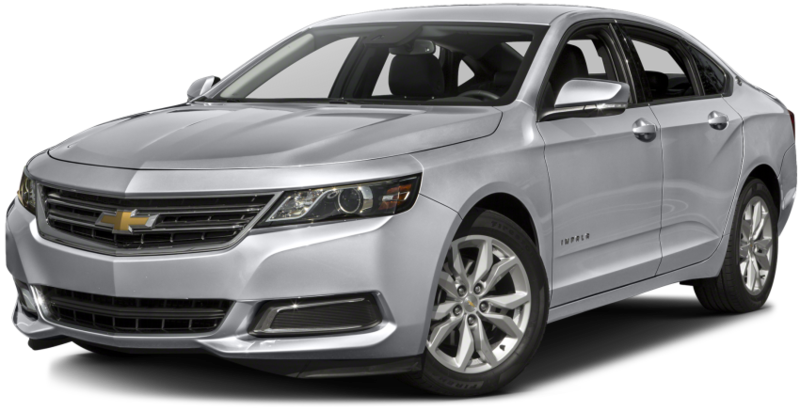 So there’s no denying that the 2016 Chevy Impala is one of the most well-versed rides in the entire industry. However, what isn’t clear is where a customer should be purchasing that new full-size sedan. Well, if you live in the Albany, New York area, there’s truly no better choice than DePaula Chevrolet. The dealership offers an assortment of new and used Chevy vehicles, and thanks to the helpful sales team and finance department, customers will never suffer a bad deal. Plus, the dealership offers a knowledgeable service department, so DePaula can truly be your only stop for all of your Chevy needs. If you’re going to be purchasing one of this year’s most impressive sedans, you might as well make that purchase at an impressive, reputable dealership, which makes the 2016 Chevy Impala and DePaula Chevrolet the perfect pairing.